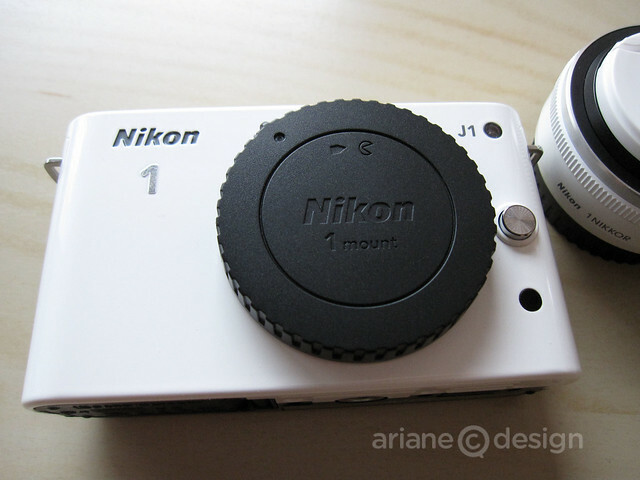 The Nikon 1 J1 is a gorgeous little thing that is not only easy to take around, but has some pretty cool features that are new to Nikon technology. The big plusses include 10 fps continuous shooting in AF Mode, full HD 1080p video recording, Smart Photo Selector and Motion Snapshot photo animation. The fast, new and advanced Hybrid AF system has 73 focus points, the most of any camera to date. 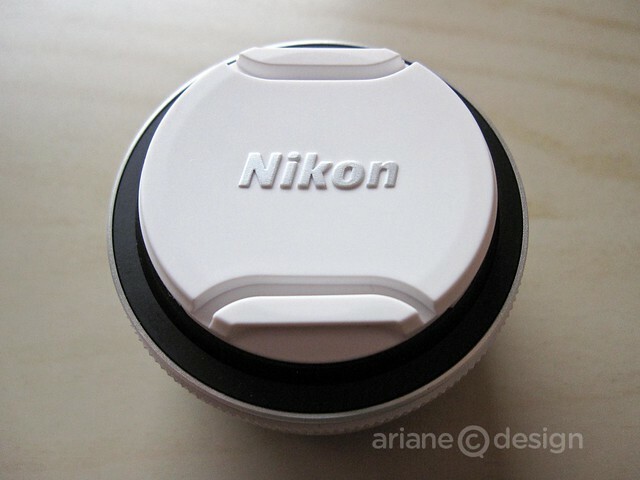 When the Nikon 1 is in Focus Mode, it will automatically chose between “focal plane phase” detection and “contrast-based detection” for optimizing your shooting scene. It will also default to the faster “phase detect” AF. The Smart Photo Selector (similar to Nikon’s Best Shot Selector) captures a burst of up to 20 frames and then saves the five best based on various criteria, including exposure and facial recognition. 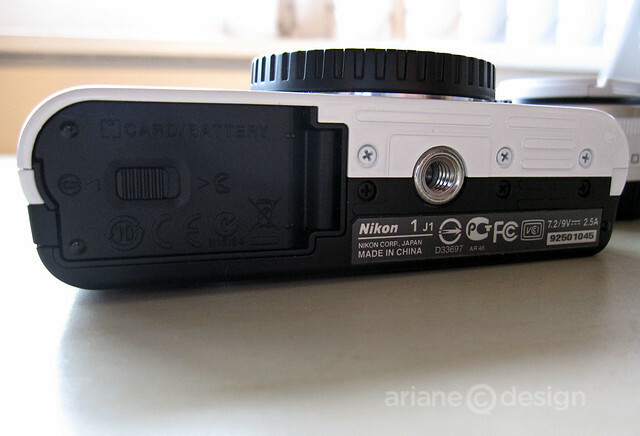 First off, the camera and its design. 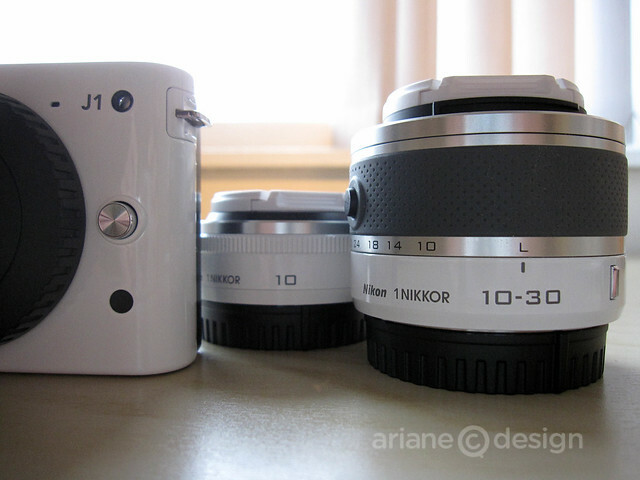 The 1 comes in two formats: the J1 and the V1. The V1 is the more expensive of the two, with both a mechanical shutter and electronic viewfinder, resulting in more accurate exposures. The V1 is also a bit heavier, but then again battery life is better with that increased size and weight. For now, both come with a standard 10-30mm zoom, and both will fit the 10mm pancake lens, 30-110mm f/3.8-5.6, and VR 10-100mm f/4.5-5.6 PD-ZOOM, all available separately. The V1 can accommodate an SB-N5 speed light or GPS module. It has a stereo microphone input (with optional ME-1 stereo mic accessory) to deliver professional quality audio. All aside, these are Nikon’s first mirrorless 2.7x crop models with interchangeable lenses. And now onto the J1. For the purpose of this review, I’ve shot all images using RAW quality. Unpacking the box revealed a Nikon world in white for me. The strap, body, lenses and lens caps are all shiny white. 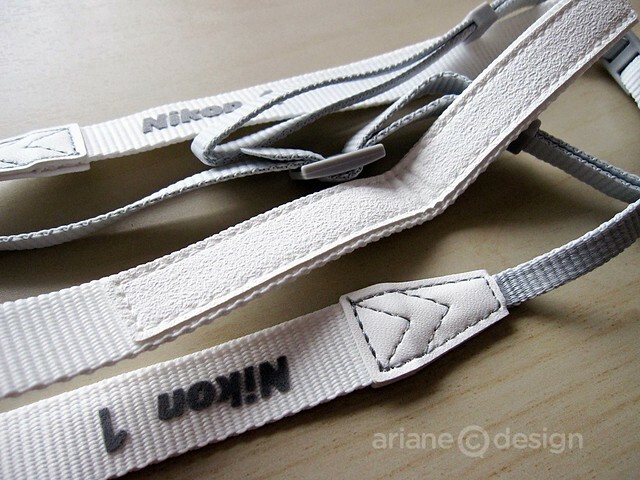 The J1 is also available in black, red, pink and silver. 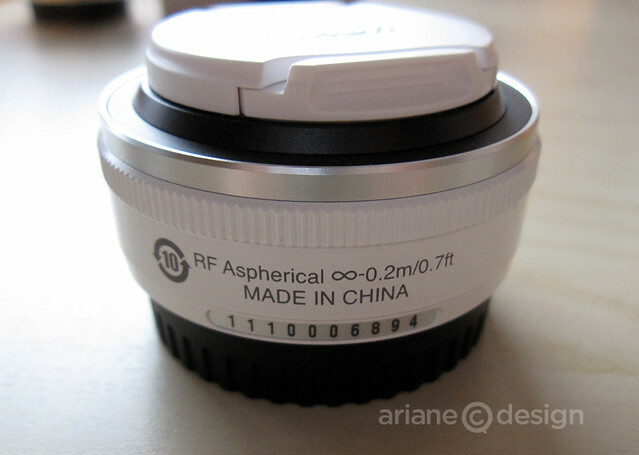 Sleek and elegant in form, could this little camera work with low light conditions as well as take successful macro shots with the pancake lens? 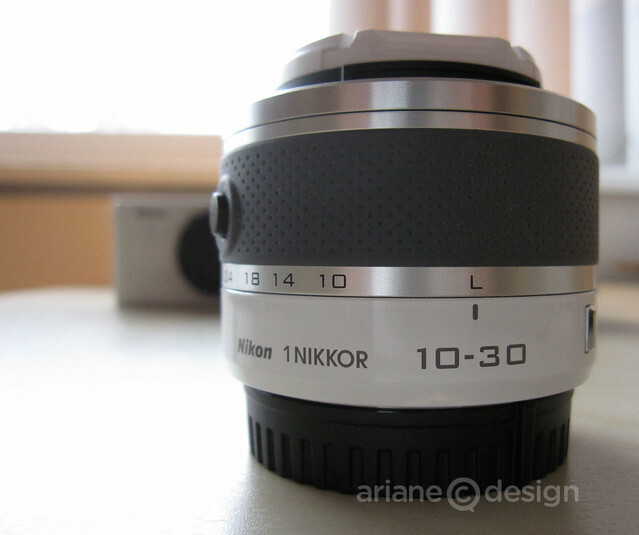 I compared the Nikon 10-30mm lens at 10mm to the pancake to see how they would compare. Looks like I was able to get a better result with the 10-30mm, as the lens took in more of the overall lighting in the room. 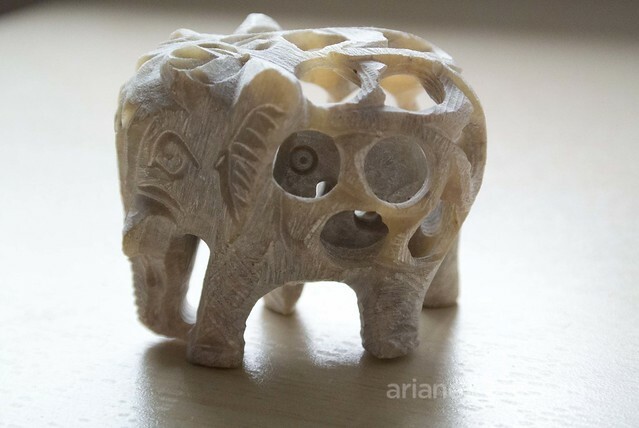 The stone elephant’s detail comes through better in the cropped photo. Here are a few shots taken both indoors and out on the town, under different lighting conditions. 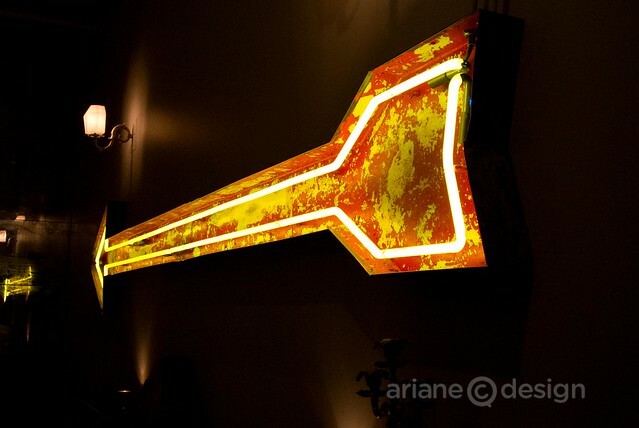 In this photo, taken at a new Gastown, Vancouver watering hole, I was able to capture the bright vintage neon sign while keeping the small lantern on the wall visible in the background, maintaining the nuance of the lighting. I used the camera’s Programmed Auto mode to see how the low lighting available would turn out in the photo. 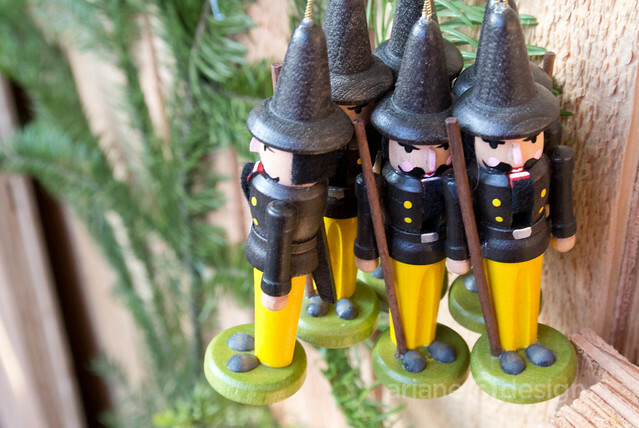 This Christmas market capture taken outdoors shows two crisp nutcrackers at the forefront of the photo, with a nice natural depth of field created by the greenery behind the remaining nutcrackers. 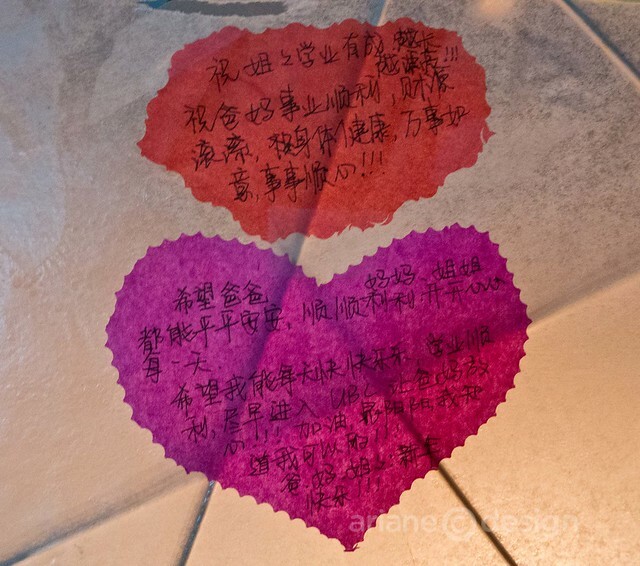 Chinese characters are recognizable through the lantern photo below, while maintaining the bright pink and red of the hearts. This photo was taken at a winter solstice festival in East Vancouver. 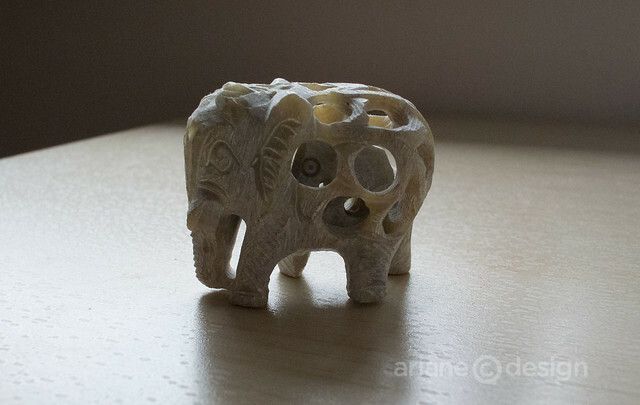 I zoomed in about halfway on the 10-30mm lens; the J1 even captured the texture of the paper. Motion Snapshot, to record photos with about a second of movie footage. The movie will play back in slow motion over 2 1/2 seconds, followed by the photograph originally snapped. Smart Photo Selector, where releasing the shutter will let the camera select the best four shots based on both composition and motion. Movie mode, for shooting HD or slow-motion films. 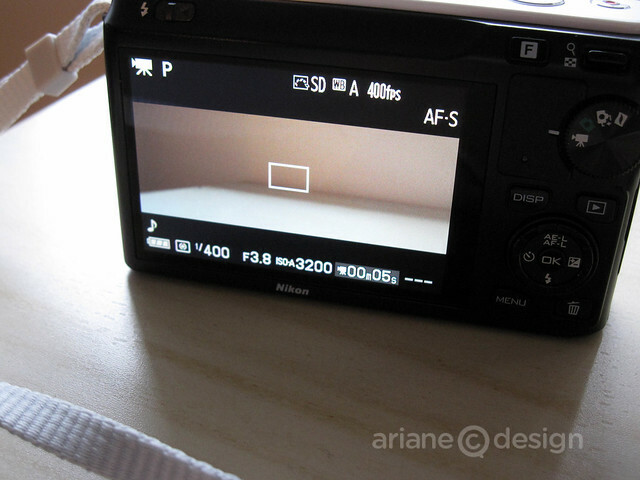 With an aspect ratio of 8:3, slow motion films are recorded silently at 400 fps and play back at 30 fps. I found that the faster the moving subject was, the better the slow motion film results were. 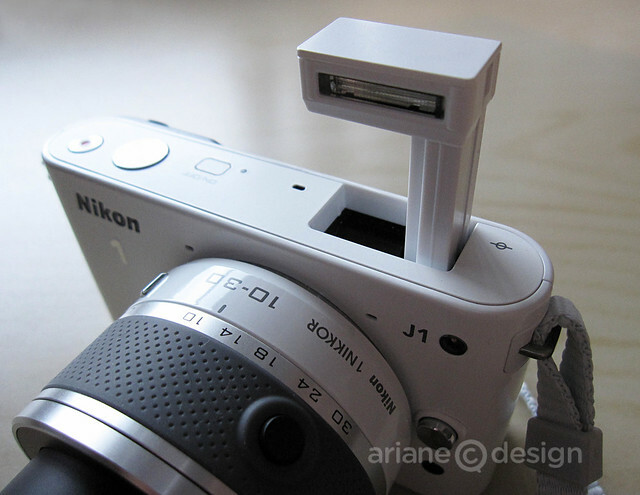 I can think of many cases where this would be a fun feature to have on a camera. 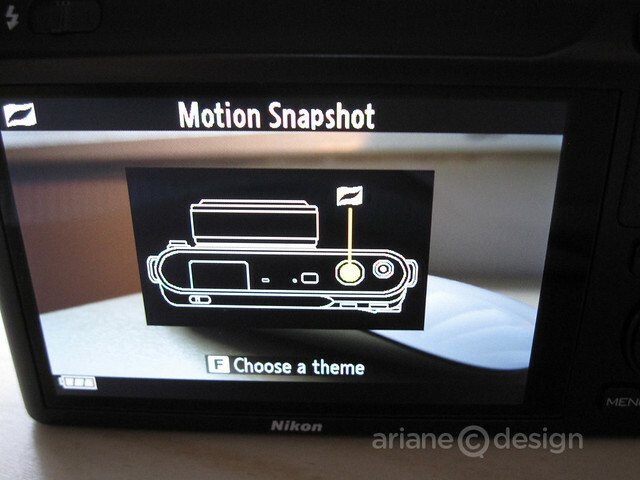 Being a regular Nikon DSLR user, I had to get used to similar menus with different button placement. The biggest adjustment of course was going back to using an electronic viewfinder. The 10-30mm lens has a zoom lock, so you’ll need to rotate the zoom ring when the camera is turned on in order to extend the lens. I also noticed that in addition to the on/off switch, the camera will turn on when you push in the zoom lens ring button and begin to rotate the zoom dial. 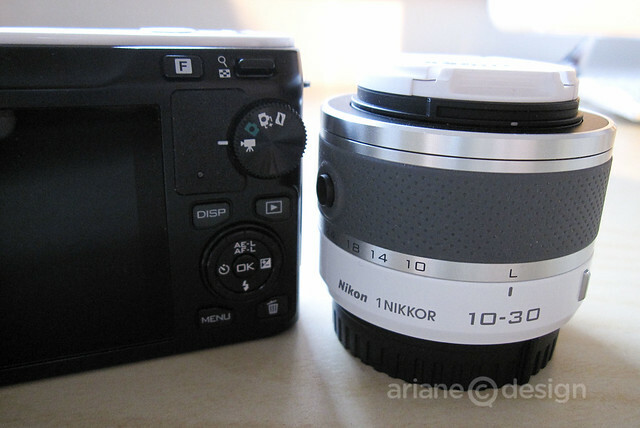 It’s handy that both the 10mm and the 10-30mm zoom lens caps are of the same size. Easy to swap out and cover if/when changing lenses. 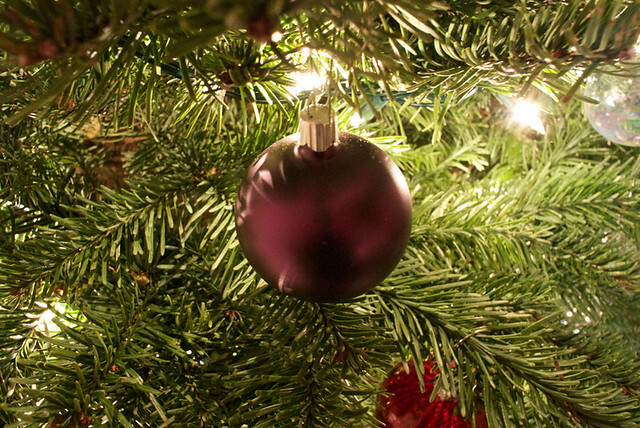 Image quality can be set to RAW + JPEG fine, RAW, JPEG fine, normal, or basic. Shooting can be Single frame, Continuous, or Electronic (Hi). Continuous shooting starts at 5 frames per second at full resolution, and can zip up to 60 frames per second when using the camera’s Electronic (Hi) mode, engaging fully adaptive fast frame auto focus (AF). I tested it, and indeed it’s super fast. This will come in handy for sports events. Exposure modes can be chosen by selecting the Menu button and include Scene auto selector, Programmed auto, Shutter-priority auto, Aperture-priority auto and Manual. I often let the Nikon 1 J1 work in Programmed auto mode, just to see what would result. Many times, I was very satisfied with the outcome, as compared to shooting in Aperture mode. 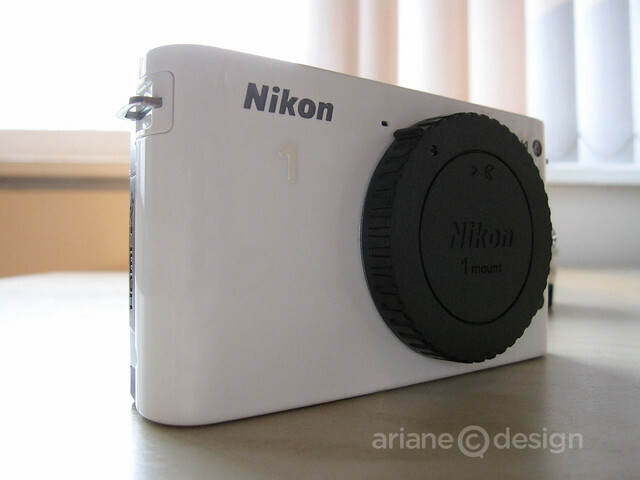 Overall, I was pleasantly surprised to find so much functionality built into this little camera. Almost enough to compare it to a full size DSLR equivalent. 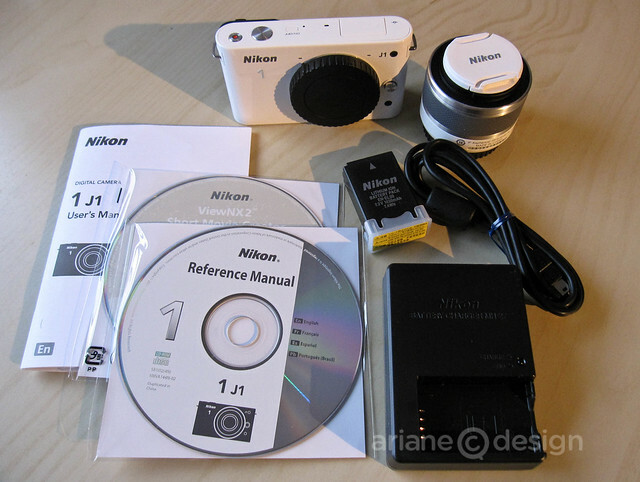 Everything from white balance, metering, Active D-Lighting, long exposure, to built-in AF assist is there. Optical features such as Vibration Reduction (VR), Super Integrated Coating (SIC), Internal Focusing (IF) and Silent Stepping AF Motor (STM) are also part of the J1’s feature list. 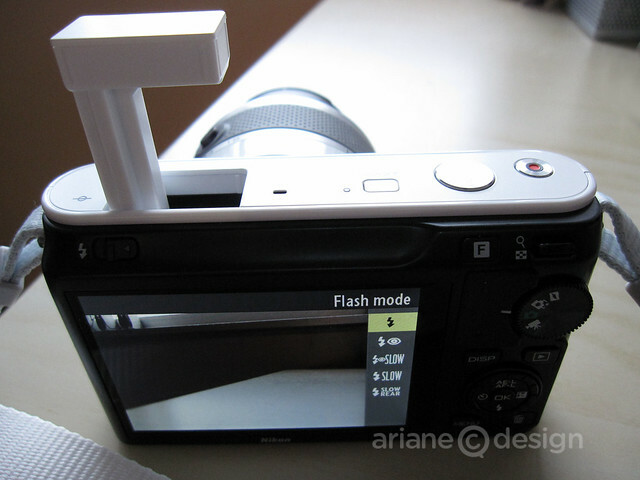 There’s a built-in flash on the J1 (not included with the V1, if you’re comparing features between the two). 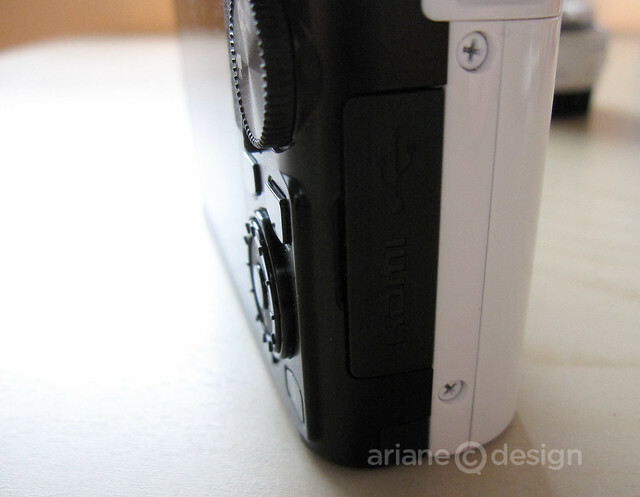 Located on the top left of the camera rear, a small flash selector will engage the submarine-like rectangular flash unit. I didn’t find that it took amazing photos however. I was missing the option to add a small flash on top of the camera. I think that the J1 can be improved in this area. minimum of 500 MB on the startup disk (according to the manual, 1 GB is recommended). As well, Windows systems will need 1.5 GB or more (with at least 128 MB of video RAM), Mac OS 1 GB or more of RAM to work with Nikon’s movie software. Short Movie Creator will create movies that combine photos taken in still image or Smart Photo Selector mode with Motion Snapshots, movies, and music. Once you’ve created a movie, either save the movie to a folder on your computer or to a memory card (via Save to Camera) that can later be played back on the camera. Movies will be played/created with the aspect ratio of 4:3 or 16:9 regardless of their original aspect ratio. 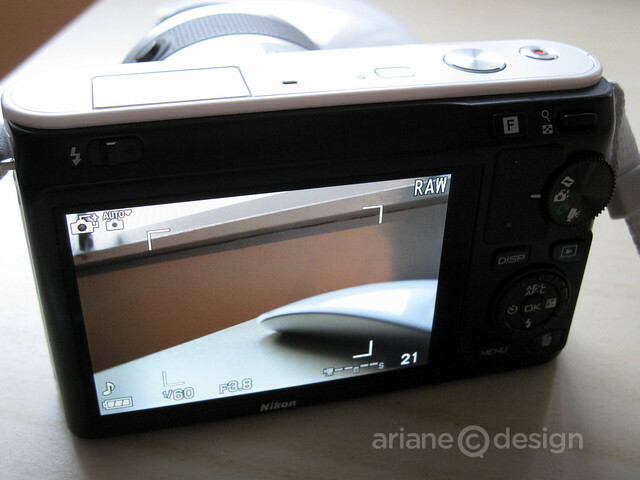 The same applies to movies recored with a Nikon 1 V1 camera in Still Image Mode, whose original aspect ratio is 3:2. 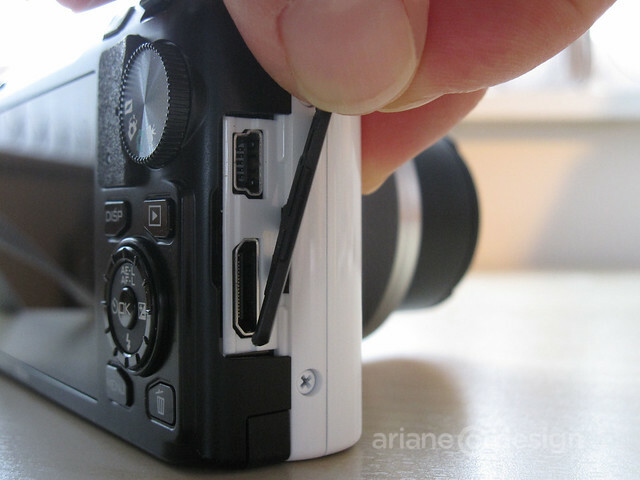 You can also capture a still image while the camera is in HD movie mode by fully depressing the shutter button. I experimented with Short Movie Creator using about 15 images. The software creates a simple slideshow style film with shifting images and a music track if you choose to add one. J1 doesn’t include a flash unit option. I don’t mind the built-in but would like a softer lighting choice for low light situations. The J1 retails for $649.95.